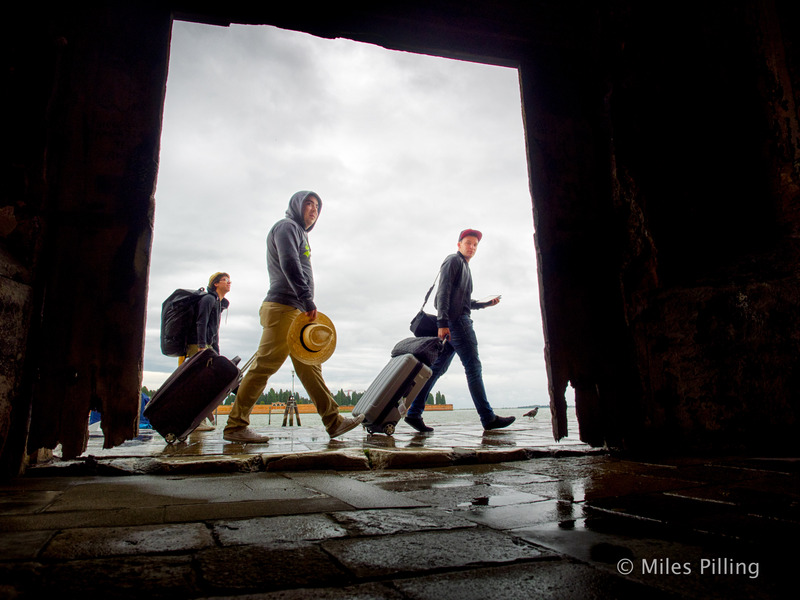 The sales people for the Olympus camera I was using in Venice make a big deal about its weather sealing. I’m always cynical about marketing claims, so when I found myself by the Ospedale Civile and as Italians (apparently) say it started “piove da morire” (raining to death), I gave this claim a real world test. These are a couple of the snaps I took during the deluge. The camera fared a lot better than the flimsy coat I was wearing, so I took shelter in a barn like structure covering an alleyway and took this photo of some bemused looking newly arrived tourists. 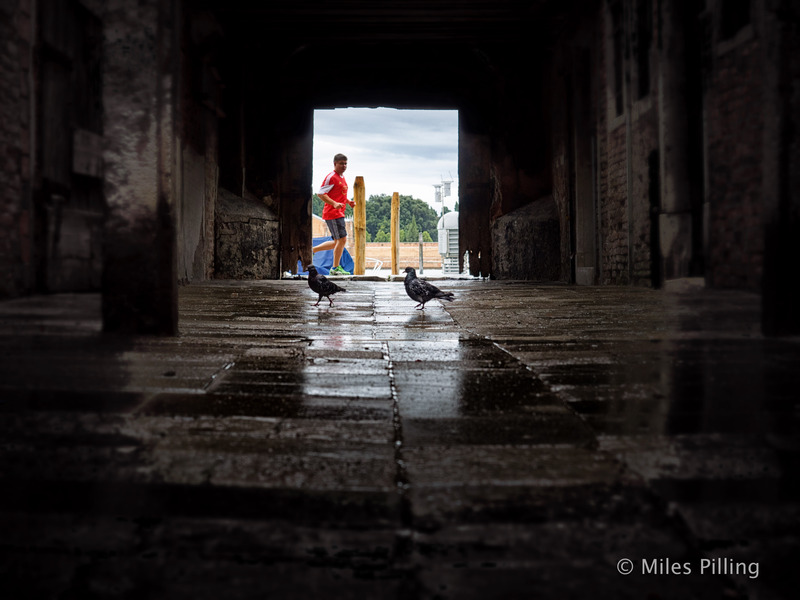 One local wasn’t letting the rain stop his lunch time run. I’ve got to say it wasn’t all hype. The Olympus camera continued to work, it’s just a shame the photographer had to call it a day after getting soaked through to the skin. 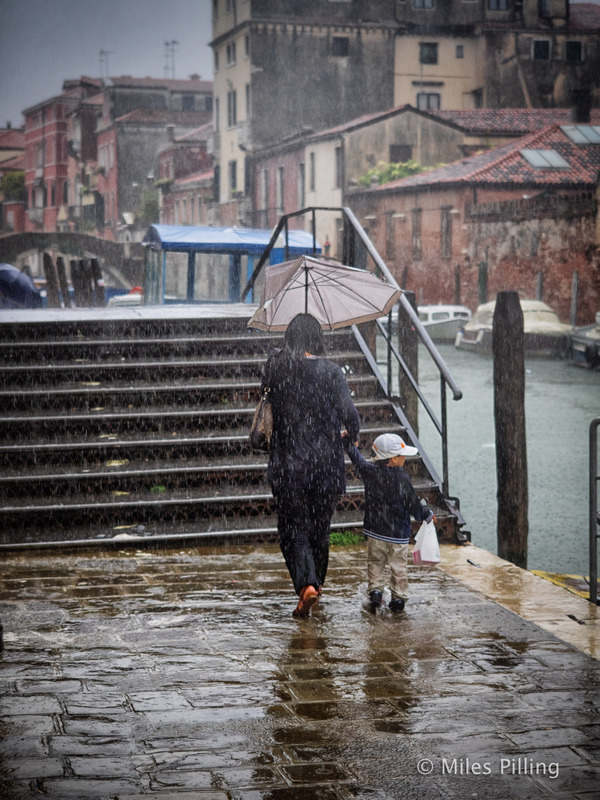 It knows how to rain in Venice, and how!! Great photos and a good tip for a camera – is it a compact or SLR?? 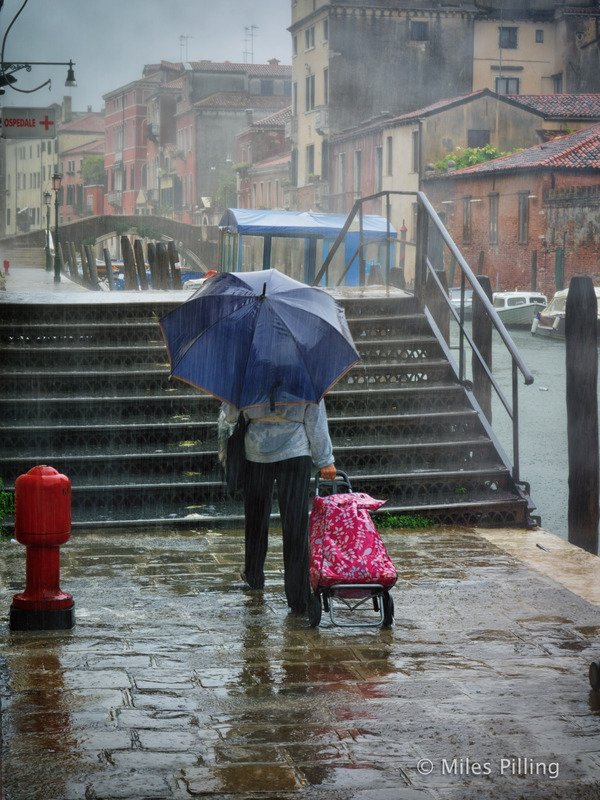 You get real weather in Venice don’t you. The thunderstorms are great fun. Thanks for the compliment. The camera is an Olympus OMD EM1 with a 12-40mm f2.8 lens. It’s a mirrorless camera which is a godsend because it’s so much lighter than an SLR. Wow, I am so envious that you’re not carting an SLR around – by the end of the day photographing I’m about ready to ditch mine in the canal but its 4-5 years old now so a dinosaur!! I will have to check the Olympus out as I’m very impressed by your pics! And fingers crossed we’re done with the epic thunderstorms for this year – the last one brought masonry down on my street as the hailstones were the size of olives!!!!! Keep the wonderful photos coming!